Everybody has an opinion on what’s “THE” key to getting people to buy from you. You’ll hear talk of “persuasion”. You’ll hear talk of “warming up” your list or “training them to buy”. You’ll even hear talk of “tricks” such as illegitimate limits and deadlines to spike the customer’s urgency, “leaked” copies, hyped up promotions, etc. Why make it that complicated? There’s a much easier way to get orders: just ask your list what they want and offer it to them. Why try to “warm them up” to an offer when you can much more easily just offer them something they are already “warm” (even “hot!”) towards? Why try to “persuade” them to buy something when they are already actively looking to buy something? If I see a tourist who just finished the Mt. Longonot panting and sweating with parched lips, do I really need to try to convince them they need to buy a cup of hot chocolate from me? Wouldn’t it be much easier to offer them some cold water, since that’s what they really want? Your subscribers are hungry for certain products and services. And when you advertise those products and services in a certain way, it’s like flipping a money switch that gives you almost unbelievable conversion rates – and commissions. The easiest way to boost your affiliate income is to place yourself squarely in front of the money. Once you’ve figured out types of products, services and offers appeal to your subscribers, you can feed them similar offers, content and triggers. See, here’s the thing: Some affiliate marketers try to give their subscribers what they need. But if your subscribers don’t also WANT the product or service, they won’t buy it. Period. Instead, give them what they want. And once you discover which products and services they want with a rabid passion, deliver more of the same. For example, you can split your list in half and send the exact same email to both lists – with the only difference being that you’re sending the groups to different (but similar) products. Aside from directly testing offers, the other ways to find out what your subscribers want includes eavesdropping on niche forums, reading product reviews, finding out what the bestsellers are on Amazon.com and elsewhere, etc. You can also come right out and ask your readers what they want (i.e., survey them). 1. What frustrates you the most about [niche problem]? Example: What frustrates you the most about housetraining your dog? 2. What [niche topic] questions would you most like to see answered? Example: What French cooking questions would you most like to see answered? 3. What would your ideal [type of product] do/look like? Example: What would your ideal membership script do – what functions would it include? 4. What [type/niche] products have you purchased in the past three months? Note: Here you may provide a list of hot products in your niche, along with an option to write in the ones they’ve purchased that you didn’t list. 5. Which products have you recently considered purchasing? Example: What organic gardening books have you recently considered purchasing? Note: As a follow-up question you may ask them why they haven’t purchased the product (even though they’ve thought about it). Knowing why they didn’t purchase will help you improve your promotions. The important thing is to know your subscribers, customers and site visitors. If they hate ice cream, it’s pointless to keep promoting ice cream. But, if you find that they love chocolate cake you can keep offering them chocolate cake over and over again with confidence that they’ll continue buying. 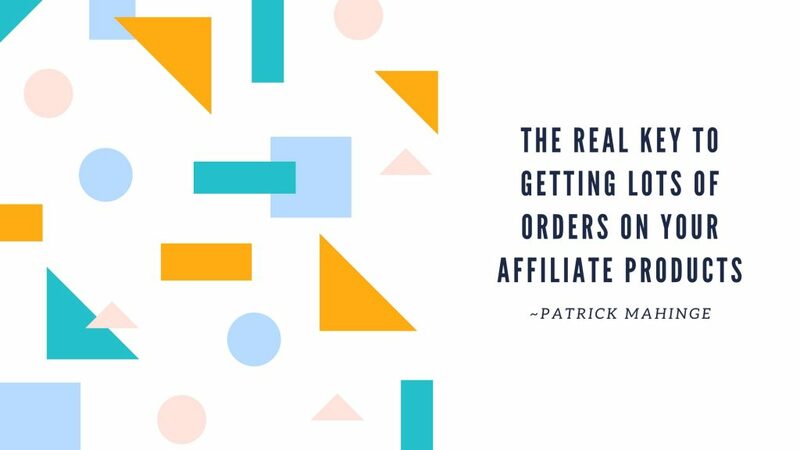 But the point is the same: you increase affiliate commissions by promoting things your network WANTS. Stop offering them hot chocolate when they are begging for cold water!